When camping one of the most important pieces of kit you need to take is a decent camping kitchen. The camping kitchens featured here all fold away and store neatly in your vehicle for transporting to the camp site. Also, because they foldaway they are easy to store in between camping trips. Once on the camp site, it is the work of moments to erect these kitchens. Once done you can put the kettle on a make yourself a well deserved hot drink. Camping is a great way to get out and enjoy the great outdoors. Cooking over an open fire is a lot of fun, but no one wants their hotdogs with a side of leaves or sprinkled with a bit of dirt. 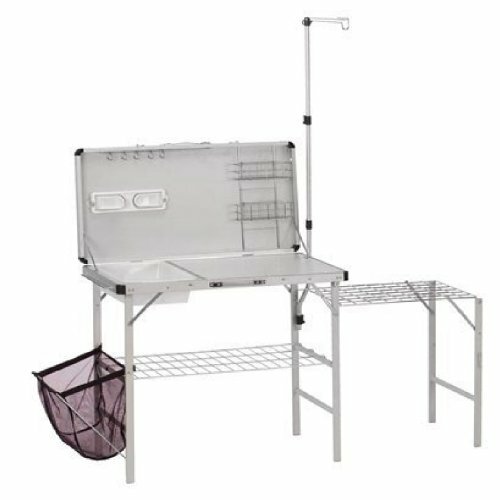 There are many ways to fix the dirt issue, one of them being Coleman’s Packaway Deluxe Camp Kitchen. 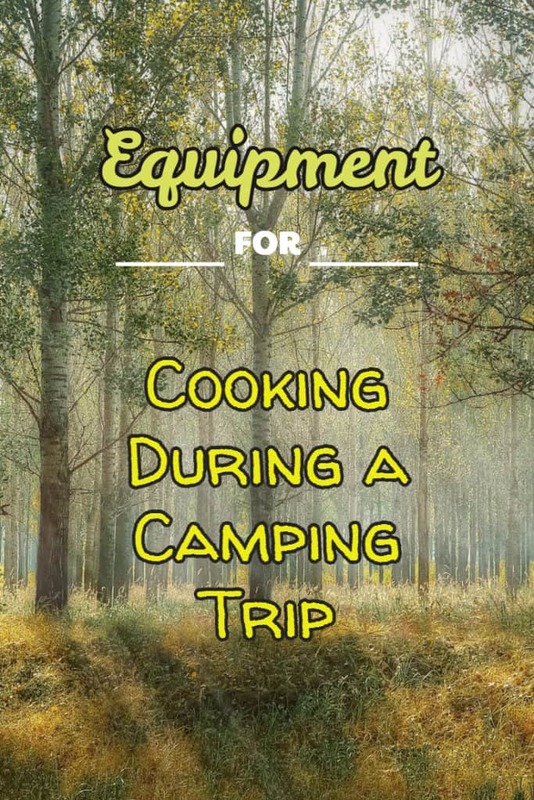 It’s a great way to prep, cook, and clean up after any meal outside, whether you are camping, tailgating, or simply having a barbecue in the backyard. This kitchen is perfect for your family’s camping trip. With this set up, cooking is made ten times easier. It comes with a stable counter space for you to prep all your food. Plus, there’s a space for everything. There is built in storage for supplies, utensils, spices, and condiments. The whole kitchen comes with two wire shelves. One can be used to store pots or larger supplies, and the other perfectly fits a stove, both Coleman, and other brands. There is also a built in lantern hook, so you don’t hurt yourself trying to cook after dark. 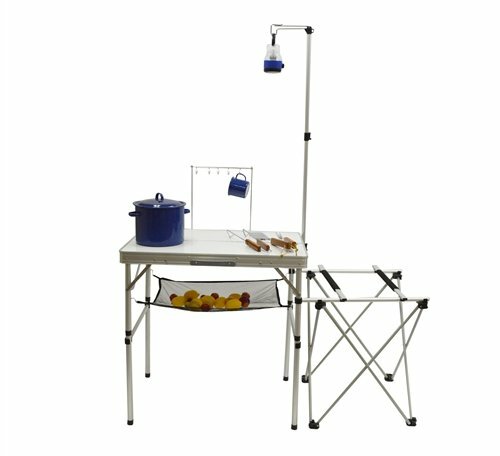 There’s also a removable wash tub, towel rack, paper towel and produce holder. The wash tub is great for the environmentally conscious who don’t want to waste all those paper products. You can simply wash your dishes when you are done and set them on one of the wire racks to dry. This product really covers all its bases. You can also adapt the different aspects to fit your needs. For example, put a plastic bag in the produce holder and you now have a functioning trashcan. If that’s not enough, it can fold up into an easy to carry case. Coleman Camp Kitchens Have Other Uses Too! This kitchen doesn’t have to just be used for camping either. It’s just as useful for a barbecue or tailgating. 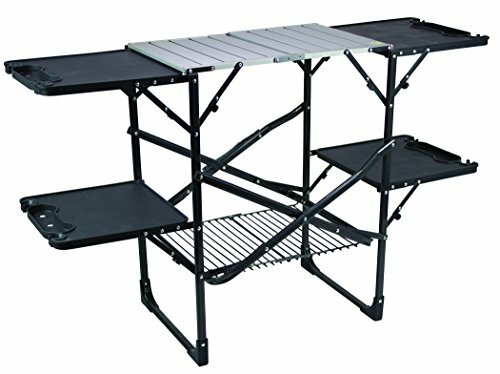 Instead of stacking everything on coolers and then having to move them once you get thirsty, place your spread on your Packaway Deluxe Camp Kitchen. No more losing your burger because the plate fell off the tailgate of your car. That delicious potato can be enjoyed by you instead of the ants when you placed the plate on the ground. You can enjoy the party without struggling to find space to fit everything. As an added bonus, the top half of the kitchen can act as a windbreak. No more chasing after plates and napkins. Everything stays right where you put it. 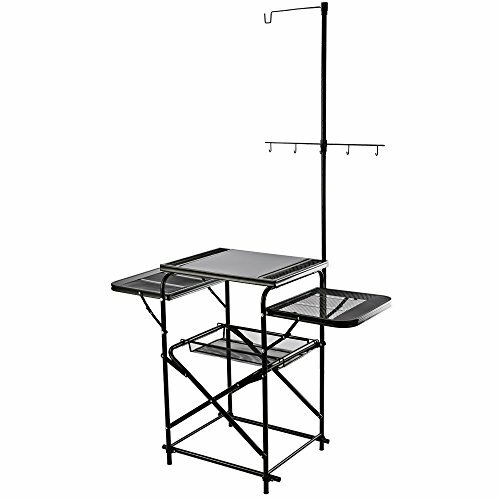 The whole kitchen is made from aluminum, making it sturdy, yet not too heavy to carry around with you. The whole thing when folded up and in the case weights about 24 pounds. That may be a bit too heavy for some people, but in order for the setup to be sturdy enough to hold all of your cooking supplies as well as the stove top to cook everything on, it’s going to need to weigh a little bit more. 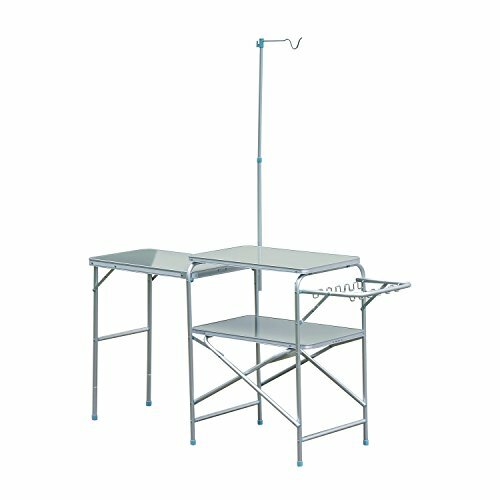 It comes with plastic guards to protect the corners, and leg braces to add to the already sturdy frame. Customers who bought this camp kitchen overall seemed to be very pleased with their purchase of the Coleman Packaway Deluxe Camp Kitchen. It’s very easy to put together, though there were some issues with the paper towel holder. It attaches to the frame with suction cups and some people had trouble getting it to stay in place. The sink also makes the whole thing not as compact as you would originally think, however, the tub makes clean up a lot easier, so it isn’t the end of the world. A few people had issues with parts being damaged in the mail, yet after contacting Coleman Customer Service and sending in pictures of the damage, the problems were fixed quickly and without much hassle. Everyone loves to cook outside, especially when the weather gets nice, but you can be quite limited on space depending on where you are. The Coleman Packaway Deluxe Camp Kitchen is a great purchase for all your camping, tailgating, and barbecuing needs. 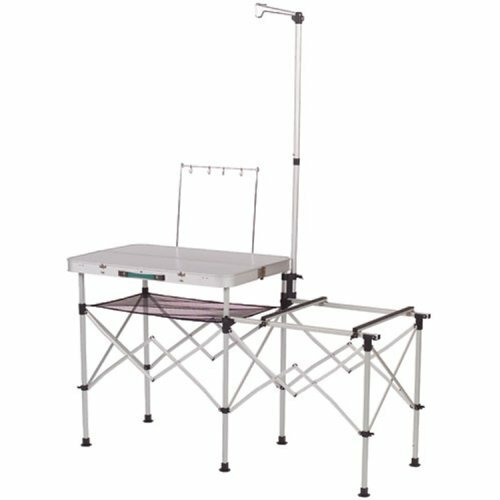 It allows you prepare, cook, and clean up any meal without all the hassle of trying to find space or weather the elements. For families that love camping, barbecuing or frequently cook outside, it’s definitely worth the purchase.